John Duke Anthony – The GCC-U.S. Summit: An Opportunity for Strategic Reassurance? On occasion of the GCC’s 35th Heads of State Summit in Doha, Qatar, the Qatar News Agency published an infographic highlighting key GCC summit moments since its formation in 1981. 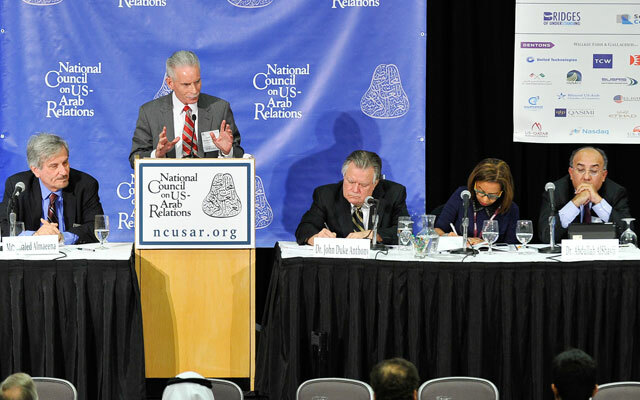 The National Council on U.S.-Arab Relations’ 23rd Annual Arab U.S.-Policymakers Conference included a session on “The Gulf Cooperation Council: Role in Regional Dynamics” that featured Dr. John Duke Anthony, H.E. Dr. Abdullah I. El-Kuwaiz, Dr. Abdulaziz Sager, Ambassador (Ret.) Stephen A. Seche, Dr. Abdullah AlShayji, and Dr. Abdulkhaleq Abdulla. 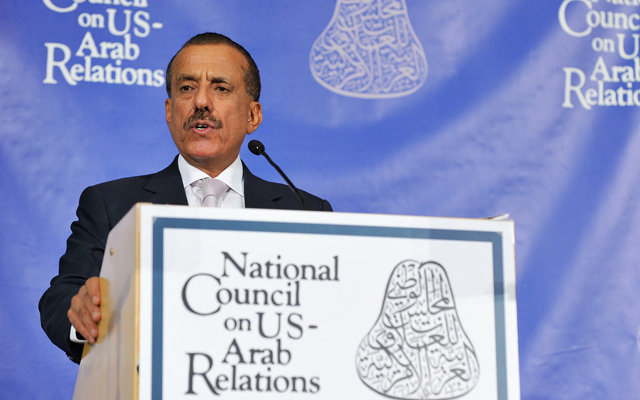 National Council on U.S.-Arab Relations Founding President & CEO Dr. John Duke Anthony periodically responds to questions posed by friends and followers of the National Council’s Arabia, the Gulf, and the GCC Blog. Below are three recent questions Dr. Anthony fielded regarding the U.S. relationship with the Gulf Cooperation Council countries (Bahrain, Kuwait, Oman, Qatar, Saudi Arabia, and the United Arab Emirates).